Our main "Open House" service is at 11am every Sunday. If you have children, bring them along, they are most welcome. Buddies - our children's group meets every Sunday during Open House. On the second Sunday of the month we hold an Open House Café Church in the village hall (see below) and on the fourth Sunday of the month there is an all age Open House Communion service. In addition, on the second Sunday, there is a traditional communion service at 9.15am which uses the church organ. Knowing Jesus and making Jesus known is at the heart of our teaching which is centred on God's word, the Bible. 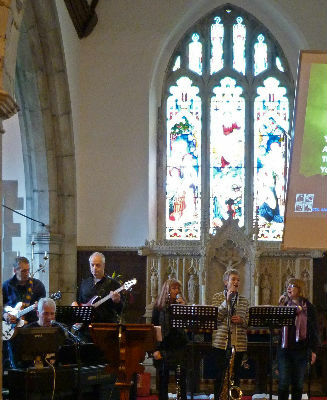 Music and its role in worship is a particular strength of our Church. The Open House services are led by our group of gifted musicians and include keyboards, guitars, wind and percussion. There is no choir. 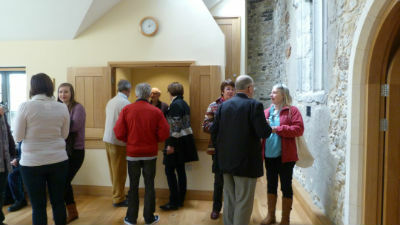 The recent reordering of the church has included a modern music system and has opened up the Chancel and both chapels. 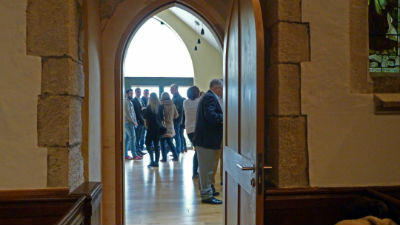 After the service you are encouraged to join us for tea and coffee served in the Geoffrey Grimes room. 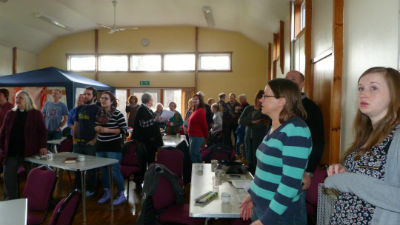 On the second Sunday each month we hold a "Cafe Church" in the Village Hall. This is for people who may be uncomfortable entering a traditional Church building enabling them to come and hear God's Word. The service starts at 11 am and breakfast is available from 10.30 am. There are Sunday papers to read. Tea and coffee are served throughout the service which is informal and contemporary in style and worship. On the 5th Sunday in the month there is BART United Service with moves around the four Parishes. It is held at 10.30 am for an hour: the venue rotates between the four parishes; It is a family friendly service which broadly follows the Family Service traditions of the ‘host’ parish. 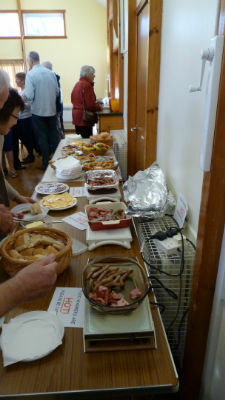 Refreshments are served after the service. During the month of August services rotate around the four BART Parishes.